Yesterday, Israel hit a school that was being used to shelter refugees. The UN says that Israel was provided with GPS coordinates of the school on 17 separate occasions. Israel said they were responding to fire from near the school. At least 15 people, mostly children and women, died when the school was hit by five shells. Crazy people on both sides are saying crazy things. Pro Hamas people say the school was attacked on purpose, which makes no sense as Israel has nothing to gain from killing sleeping children. Also if Israel wanted to kill sleeping children, why aren't several hundred killed every night? On the other hand, IDF cheerleaders say that school was actually a terrorist base or a depot and the sleeping children were being used as shields. But this contradicts Israel's own account of the incident. This verse is a striking one in the middle of this week's Torah portion, Parashat Devarim. Moses is giving a recap of the conquest of the East Bank, explaining why the Israelites avoided conflict with some nations and engaged others: the former were cousins to the Jews, part of the Abrahamic covenant, and so protected by God; the latter were Amorites, one of the seven nations whose lands Israel was to inherit. However, this verse interrupts the flow. The previous ones discuss the rightful inheritances of the descendants of Esau and Lot, Abraham's grandson and nephew respectively; in the next one, Moses relates God's words to him, "Behold I have given into your hand Sihon the Amorite, king of Heshbon, and his land." The discussion is exclusively about the nations residing on the East Bank of the Jordan; why does the Torah suddenly throw in this random detail about the inhabitants of the the Mediterranean coast of the Promised Land--literally on the other side of the country? And afterward were the families of the Canaanites spread abroad. And the border of the Canaanites was from Sidon, as you come to Gerar, all the way to Gaza. So, we have the Canaanites moving south, along the coast, from Sidon (still a major port city in Lebanon). But our verse speaks of two other peoples: the Avvim and the Caphtorim. We don't know the who of the Avvim, but we know the whence: they came from the east. That much is clear from their appearances in chapters 17-19 of II Kings, where their city is one of the early conquests of the Neo-Assyrian Empire, in modern-day Iraq or Iran. Their migration westward is indicated by the fact that a city in the land given to the tribe of Benjamin, stretching from Jericho to Jerusalem, is called "The Avvim" (Josh. 18:23). So we have Semites coming westward "all the way to Gaza," Phoenicians coming southward "all the way to Gaza"--but that is not who's in possession in Moses' time. It's now the Caphtorim. Where do they come from? Once again, we turn to the global genealogy of Gen. 10, where the Torah clearly states that the Caphtorim are of Egyptian origin. That would be yet another invading force, this time from the southwest, through the Sinai (or possibly just sailing up the coast). Gaza is the nexus, the fulcrum, the crucible of empires--not only in Canaanite times, but for the Israelites as well. Joshua first sets out from Kadesh Barnea as one of the Scouts, only completing his mission and making it "all the way to Gaza" 45 years later. For he had dominion over all the region on this side of the river, from Tiphsah all the way to Gaza, over all the kings on this side of the river: and he had peace on all sides round about him. Indeed, the effusive praise for King Hezekiah, the Davidic heir whose righteousness made him a candidate for Messiah (according to the Talmud) concludes (II Kings 18:8): "He struck the Philistines all the way to Gaza, and the borders thereof, from the tower of the watchmen to the fortified city." Gaza has been the farthest extent of at least four ancient empires, and its symbolism has not been diminished over four millennia. The fates of nations are decided in Gaza, and the decisions Israelis, Palestinians and the world must make now are fateful ones. We must call on the bravery of Joshua, the wisdom of Solomon and the piety of Hezekiah to find a solution that brings justice, peace and truth all the way to Gaza. Meanwhile, if the Jews stopped fighting nothing excellent would happen, as all the Jews would be murdered, and Hamas et al would impose a theocracy with rules that would make it far more difficult for moderate Arabs to enjoy the sort of lives they are currently enjoying. So moderate Arabs, how can you support the extremists? If you Moderate Arabs want the occupation to end, why are you supporting attacks on civilians by Hamas? That won't end the occupation. Their attacks will only cause Israel to clamp down harder. If you want the occupation to end why aren't you denouncing Hamas's genocidal threats? That kind of rehtoric end the occupation either. It will only make Israel trust the Arabs less. All Hamas is doing is causing more of your people to die, and giving your worst extremists undeserved power and undeserved influence. They and their missiles are doing nothing to end the occupation. If you want to end the occupation you should be developing your own Gandhi or your own Martin Luther King, as civil disobedience is what's been shown to work, while killing civilians and spouting on about genocide doesn't. From time to time I feel the need to pull back the curtain and reveal to my well-mannered detractors that I am really not a Pro-Hamas, terrorist sympathizing, useful idiot, Muslim running dog. This is one of those times. Today, one of the members posted a bit of a rambling diatribe about the civilian death rate in Gaza. This was definitely not the sort of good-faith, non-insane thing you usually see posted there, and the poster went a little overboard in the choice of adjectives she used to describe the IDF. Now, let's flip this around. Suppose Israel played the same trick. Suppose Israel used women and children to protect IDF soldiers and weapons. Do you think for a second that would deter Hamas? Of course it wouldn't. Hamas's stated aim is to kill as many as women and children as possible. If Israel used women and children as shields Hamas would not be deterred. Hamas would say "Thank you for making things easier for me." This is not an unimportant difference. Here's a wonderful example of how to promote Israel in a way that is honest, sensible, non racist, non jingoistic and non obnoxious. Hasbarah bloggers should take note. Read the essay before the discussion below please. I promise not to make a regular practice of this, but occasionally a conversation thread on Facebook rises to the level of a masterpiece and must be preserved for the ages. This one starts simply enough, asking Muslims to describe how their home country's treat Jews, but over several hundred comments it crosses into Hajj practices, kotel customs and more, while always remaining perfectly civil and constructive. 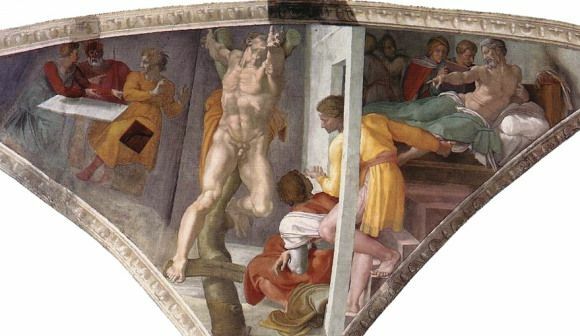 I was recently astounded to learn that the idea that Haman was crucified appears in our tradition, notably in the Slichot said on the Fast of Esther and in Josephus. This is pretty cool, I think, because its a clear example of Judaism retrofitting a trope from a later strata of history back on to an older story. Its not cool, however, because Christians (surprise) used this to justify moments of persecutions and hatred, claiming that the so-called fact that Haman was crucified "proves" that the Jews wanted Jesus crucified, too. 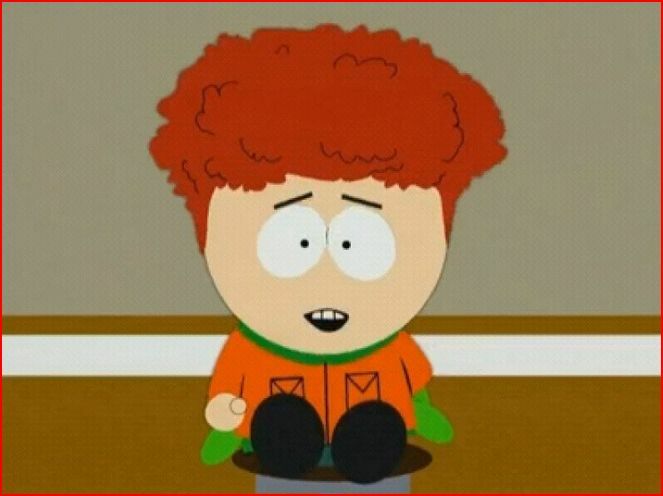 You probably know the Jews are allegedly big-nosed, but did you know that according to official anti-Semitic lore Jews also have red hair? Italian and Spanish art depict Jews as red-haired, and both Shakespeare and Dickens gave red hair to their Jewish characters. In medieval paintings, Judas Iscariot, the first evil Jew, often has crimson hair and beard. Posting this simply to protest that profoundly stupid Slate article that said Taglit/Birthright was to blame for the death of an idf soldier. The story below appeared on Gawker and it is so pro-Israel, and so unabashedly propagandist I think I am now entitled to say that Israel is not the very most perfect place on earth at least one more time without getting yelled at by the unforgiving, uber-patriotic hordes. These men were real people, who existed in the world, and mattered to their friends and families in ways that were vibrant, significant and genuine. They are being mourned with real tears. Just saying. "By the way, is anything more repugnant that Obama’s repeated assertion that “Israel has the right of self-defense,” as if that is not obvious, as if it is a major concession on his part designed to win him plaudits from liberal Jews, and…as if he has to keep saying it in order to talk himself into it?" Did you catch that? He find it REPUGNANT that the president is repeatedly saying the exact words everyone wants him to say. He'd rather Obama did not say this because it's "obvious" and would prefer Obama didn't "talk himself into it"
Of course, the real truth is Pruz hates the president for wholly irrational reasons and would still hate the president even if he moved to Israel and became a Rabbi. When you hate that much, facts cease to matter. Delta Air Lines on Tuesday suspended flights to Israel's main international airport because of reports about a nearby rocket attack, the company said. LW example: What can you expect from a conservative lunatic? (4) Assuming you just don't understand, or you would agree with them. (5) Privileging their position/appealing to authority. (6) Telling you that the upset you're causing is more important than the problem you're pointing out. RW Example: Stop being divisive during a war! From FB: Your blaming of the victim is offensive. A: 2 and 15 are both integers. B: How dare you equate 2 and 15, they're clearly not equal! 2 is even and 15 is odd. Moreover, 2 is prime and 15 is not. Also, 15 is much greater than 2! A: I didn't say 2 = 15, I just said that they both belong to the set of integers. B: EQUIVALENCY! SELF HATER! HAMAS SYMPATHIZER! Brilliant idea, poor execution, but makes a point I think far too many right wingers are still fundamentally unable to grasp. I'm in a list making mood.... Here are a few. Please feel free to add and subtract. - The fear that the very real examples of genocidal rhetoric and the very real examples of Arabs celebrating moments of Jewish misfortune mean that this is how all Arabs think and feel. - The idea that all Palestinian civilian deaths are staged. - The attempt by some Israelis to suggest that none of the dead civilians were really civilians or that all of the deaths were staged. - The fear that Israeli rhetoric about genocide, expulsion, and perpetual occupation reflects widespread popular Israeli options. - The observation that Israel continues to expand beyond the 48 lines which wrongly suggests to some Arabs that the Jews would rather acquire land than pursue peace. - The fear that Israel actually wants to kill civilians. What are you doing for the war? This isn't a question about the personal extras like davening or learning or charity that you may have taken on but about your communities, and what they have officially orgamized. And it isn't a question couched in rebuke or criticism but a real attempt to understand, document and collect the various activities diaspora communities have undertaken to help the war effort. I'll even go first. In my community, the rabbis have used the war to encourage us to learn more and to pray with extra fervor. They have also used the war to encourage our women to wear longer skirts and sleeves. We've been promised that this will "help". Additionally, there have been collections for that fund that plans to give every soldier a pair of tzitizis. We have not been saying tehillin. We have not been asked to do anything special to help civilians or to demonstrate support. Many of us have not canceled or changed plans to vacation in Israel this summer. In the next post, I'll perhaps attempt to work out "what this means" or "what this says about us" but for now I just want to compare and contrast and document the various types of diaspora community responses. So please jump in and ask your friends: what are you doing for the war? What follows is addressed to my friends on the right who are reasonable, intelligent and capable of disagreeing with someone in good faith. If this does not describe you please skip the post. I believe we simply disagree about what those red lines are. I think that fair, and good and reasonable people can legitimately disagree about something like that and I think such disagreements are healthy as they cause us to re-evaluate positions, consider other perspectives and to make sure that we have really got it right. I believe that things get ugly when people who are not fair, or good or reasonable accuse one side of being bloodthirsty or war mongering while other people accuse the second side of being self-haters or appeasers or enemy-lovers. At this moment, I do not want to argue about what those red lines are or should be. As I said on Facebook, I am observing a temporary moratorium on arguing about Israel. At this moment, my thoughts are with the troops and I am praying for a successful mission, carried out with no errors and as few casualties as possible. Can we shut up about Derek Jeter please. Please? Ok, fine: he's a first ballot HOF because of his 3K+ hits, but there are 27 other members of the 3000 hit club and grown men don't drool over, say, Robin Yount do they? And Robin Yount was a better shortstop! 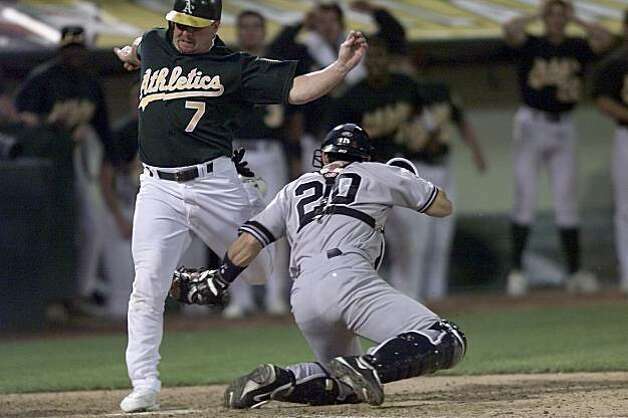 No one would talk about "The Play" IF GIAMBI HAD SLID! In fact, for most of his career, Derek Jeter wasn't even the best shortstop on his own team! As a hitter he never won the league's Silver Slugger award as the league's best hitting shortstop. As a fielder, he had the range of a 97-year old lady and according to two historical play-by-play-based systems, Baseball Prospectus’s Fielding Runs Above Average and Baseball-Reference’s Total Zone, Jeter cost his team more in the field than any other player in history! If you're going to claim the guy is a legend, shouldn't he at least be the best player at his own position? So basically the arguments for Jeter's immortality come down to two things: His supposed ability as a clutch hitter, and a bunch of cliches about what a hulking, manly winner he was. Let's debunk them both in turn. Clutch hitting is a not a repeatable skill. Its just random luck. Also, Jeter had a lower batting average in the post-season, lower OPS and a higher strike-out percentage. He batted under .250 in seven post season series. And his most famous "clutch hit" would have been an out had the umps called interference on the kid. So much for raising his game when it counts. Was he winner? Well, sure, he won 5 rings, but Yogi has 10. Meanwhile, Scott Brosius had more World Series appearances than Ted Williams. Are you going to argue that Scott Brosius was more valuable than Ted Williams? So now what we're left with is pure man-crush material. He looked good in a uniform. He carried himself well. Blah blah blah. Not that there is anything wrong with that, but it has nothing to do with baseball. I feel the exact same way about Hamas and other Muslim extremists. The Exact. Same. Way. However, I can see how with enough misinformation, false education, repeated injustice, murdered children, and so on, Jews - like any other human being - might be led to commit unspeakable crimes themselves. I was toying with the idea of attending a joint 17 Tamuz/Ramadan iftar this year, when my wife made an excellent point. "How is that in keeping with the spirit of 17 Tamuz? ", she asked. "Its a day that we use to mourn the loss of Jerusalem and you want to share it with people who want to make us lose it again?" She conceded that the Muslims who are likely to attend an interfaith iftar are not the same people who want to throw the Jews out of Jerusalem, but I still take her point: The symbolism is schizophrenic. I fast on 17 Tamuz to show that I'm sad that the Jews lost sovereignty over Jerusalem. I'd attend a joint iftar to show that I don't think all Muslims are extremist lunatics and that a peaceful resolution to the conflict in Israel is possible. These are both true and good, worthy things to demonstrate, but I concede that it may not be possible to demonstrate them simultaneously. As the great Isaiah Berlin taught us values can be equally valid, yet mutually incompatible. 1) THE TIMES HATES ISRAEL which is why arabs and Muslims have been carping non stop about its coverage of the war. See here. The public editor reports that neither Jews nor Muslims like the headlines, photos or slant of the coverage. 3) OBAMA WANTS ISRAEL TO RESTRAIN ITSELF Well the obvious problem with this claim is Obama never said that but the real proof is this: At the iftar dinner he told the self hating Muslims who showed up that Israel has a right to defend itself. Yup, your favorite Muslim sympathizer told a group of Muslims who had come to his house to celebrate Islam that Israel is right and Hamas is wrong. What more do you want? And nowthe Muslims are bashing the president to smithereens on social media in a way right wing Jewish liars will probably find familiar. What does an acrimonious presidential press statement really look like? With all this loose and unfortunate talk about how mean Obama has been to Israel in his official statements, I thought it might be instructive to examine some of his predecessor's official statements. I believe they provide far better examples of acrimony and disapproval. THE PRESIDENT: Good morning. I strongly condemn the terrible act of violence in Israel this morning. I have called Prime Minister Barak to express my condolences to the families of the people killed and to all the Israeli people. As I told the Prime Minister, the tragic cycle of violent action and reaction between Israel and the Palestinians, particularly the escalation this week, needs to stop. I'm urging all parties to do their utmost to end the violence. We will continue to work with all parties to try to restore calm to the region. The President is deeply concerned by reports of Israeli military actions in Gaza that have resulted in the deaths and wounding of many Palestinian civilians. While the Administration supports Israel's right to self defense, it is critical that Israeli forces make every effort to avoid harm to civilians in exercising that right. The President urges Israel to minimize the risk to civilian populations in areas in which Israeli Defense Forces are operating. PRESIDENT BUSH: It's my honor to welcome President Museveni back to the White House. Mr. President, you have shown extraordinary leadership on a lot of issues, but the one issue that's really captured the imagination and the hearts of the American people is your extraordinary leadership on HIV/AIDS in your country. You've shown the world what is possible, and I want to congratulate you for that leadership. I also want to thank you for your steadfast support on the war against terror. And I'm glad you're here. MR. FLEISCHER: Well, first, let me say that the President is deeply troubled as a result of the attack by Israeli helicopter gunships that claimed at least two lives and wounded more than 20 people. The President regrets deeply the loss of life and the innocent -- the injuries to innocent Palestinians. The President is concerned that this strike will undermine efforts by the Palestinian Authority and others to bring an end to terrorist attacks, and the President thinks that this action does not contribute to Israel's security. To express this strong sentiment, the President has directed members of his administration to carry that message to the Israelis and to the Palestinians. As a result, a rather full-court press has been made, conversations have been had and phone calls were made by National Security Advisor Rice, Assistant Secretary of State Burns, the counselor in Jerusalem Feltman, Ambassador Kurtzer, as well as Mr. Abrams here at the National Security Council. A wide-ranging series of phone calls have gone out to senior Palestinian and Israeli officials. On May 18, 2004 the IDF launches Operation Rainbow with a stated aim of striking the terror infrastructure of Rafah, destroying smuggling tunnels, and stopping a shipment of SA-7 missiles and improved anti-tank weapons. During Operation "Autumn Cloud" in 2006 Israel hit a row of Palestinian houses killing 20 and wounding 40. The United States is deeply saddened by the injuries and loss of life in Gaza today. We send our condolences to the families of all those affected. We have seen the Israeli Government's apology and understand an investigation has begun. We hope it will be completed quickly and that appropriate steps will be taken to avoid a repetition of this tragic incident. We call on all parties to act with care and restraint so as to avoid any harm to innocent civilians. Four Palestinian toddlers were killed this week. Instead of focusing on the question of whether or not the deaths were accidental (some certainly were) and instead of asking ourselves who bears ultimate responsibility for their deaths, let's just remember the spasm of grief that enveloped lsrael last week following the discovery of the dead teenagers. Remember how much that hurt? Is it possible the Palestinians are experiencing similar despair over the death of these four toddlers, and the 11 other children killed last week and the 3 children killed during the search for the boys and the 1500 children killed dating back to 2001? PS This isn't an argument against the war. You can be for the war and still feel grief or understand the grief of others when children die. Also, I am not trying to provide justifications for Hamas atrocities. I am only trying to provide a route to human understanding. #2 "The Israeli government needs to use all means necessary to prevent rockets from raining down on our country including waging war on enemies who try to bring about our destruction; but that doesn't mean we can't mourn the loss caused by those actions. Those positions cannot be and should not be mutually exclusive. We should all cry when we hear of God's creations being destroyed. "Wow", might be an understatement here. Where do terrorist murderers come from? According to the Haredi authorities quoted today in the J-Post the recipe for creating a terrorist murderer is something like this. (1) Take young people who have been brought up with traditional religious values, values that unfortunately often include the idea that "we" are better, more human, more real, more vibrant, and more beloved by God than other people. (2) Disconnect them from the religious mainstream, so they end up bored and on the margins of society. (3) Ensure that they don't have educations or jobs skills so that their sense of hopelessness is profound. You want them to feel trapped, and that their lives have reached an impossible dead end. (4) Toss in some mental illness, and innate aggressive tendencies. If the IQ is lower than normal that helps, too. (5) The terrorist act of violence must then be triggered by some kind of trauma, like an act of serious injustice, the untimely death of a loved one, or a mood of national mourning or despair. This, roughly, is how the sages quoted in the paper say our six OTD Haredi terrorists were created, and you know what - I think the reasoning is sound. And I think its likely that Palestinian terrorists are created according to a similar formula. It appears murderers of east Jerusalem teen do not come from among extremist settler groups that were initially suspected in the case. I think the fact that the Haerdi authorities are busy letting everyone know that, hey now, you're not allowed to kill people, is the most perfect indictment of their educational system one could ever devise. 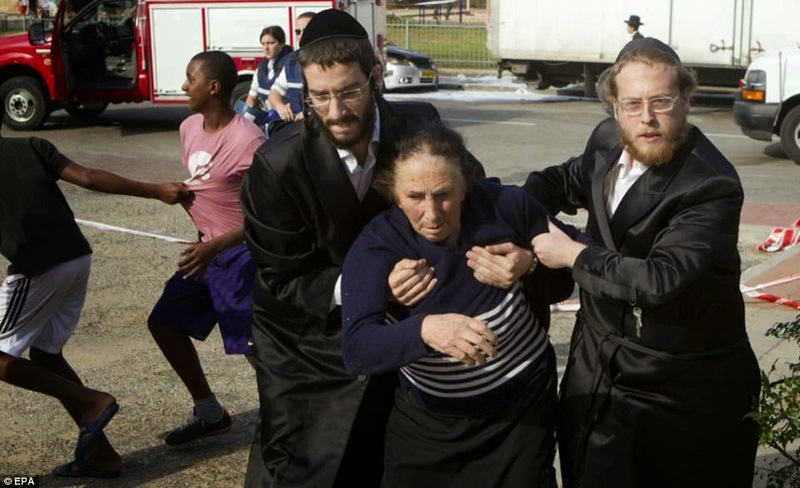 The fellow on the right, who looks like a Ger Chasid, and one other Chasid carries a woman to safety during an air raid siren. We are the people who don't mind disorder and disarray in our synagogues. Many of our shuls are cramped and poorly lit, with books, flyers and pamphlets littering the tables. We make no effort to beautify our places of public worship. No one minds if someone comes in and on his own authority rearranges the chairs. No effort is made to coordinate the design of the shelves with the design of the tables. The architecture of these places is at best boring, but more often thoughtless and at times sadistic. No attention is paid to how sound carries or how lighting can add atmosphere. Women and their place in these buildings are often afterthoughts. We claim to long for the re-establishment of what our books call the most beautiful building of its time and place; but for now we wait in squalor. We are the people who swear that prayer succeeds, but our behavior belies this claim.. Day after day we receive messages from clerics who beg us to rattle the heavens with our chants and shouts. But actual services are taken less than seriously. You're not only permitted, but sometimes encouraged, to pick up something to read (sorry, I mean learn) during less important parts of the service. No one objects if someone sits in the back during with a cup of coffee. At a set point, during Shabbath prayers, all the men rush out to get their hats. At another set point, a minority of the men go out for a drink. When the gabbai personally beseeches God to heal our sick, we catch up on current events and nearly drown out his supplications. When its our turn to pray, the words are chanted, rather than said. No one tries to understand the magic formulas; the prayers aren't read the way one ordinarily tries to read something important and they aren't said the way one would recite a real supplication made to a real person; even the very best, most serious daveners only attempt to say the words fervently, preferably with brows furrowed and bodies swaying. We are the people who claim to worship tradition and the old way of doing things. More often this means privileging one particular moment and one particular style or approach, over all the other moments, styles and approaches. Thus, some authorities are un-repentantly declared "not from our mesorah" when their ideas are found to conflict with the things "everybody knows" We make a fetish out of new things like upshurin and kabbalas shabbas while very old things like B'hab are neglected and forgotten. We think shabbas is about cholent, without seeming to realize its only a mess of peasant ingredients prepared rustically. The Talmud is full of examples of how the Sages were different in their behaviors and beliefs but the fantasy persists that men like the shockingly creative Rabbi Akiva and the profoundly humane Hillel were culturally heredim such as the type you might expect to find this afternoon in Beni Brak. We read of Jews who were still conducting business at the very second that Friday turned into Shabbos, of other Jews who were too drunk to keep the Rosh Chodesh signal fires burning, of Rabbis who forgot or misquoted or amended Tannaic material and still we tell ourselves they were all frumer than we are, when the very idea of "frumness" hadn't infected them at all. In which I give myself a reminder. Political advice and punditry, to the right or to the left, won't *really* practically help Israel. But there is an emotional weight to such opining. Standing on the sidelines on foreign soil, while the murderous enemy attacks? If you are lending credence to Israel's enemies and undermining Israel's positions (e.g. "they also have a narrative"), then this can be read as callousness and a lack of concern for your brethren. If you are supporting the Israeli position, even if you are being "jingoistic", you are expressing caring and support for your fellow Jew. So you are entitled to your opinions, but don't be a callous jerk. OK, sure, some people see it this way. But thinkers, as opposed to feelers, understand that what we say on blogs and Facebook has no cosmic value or meaning, and that a good point is a good point irrespective of who it facially seems to support. However, I count some "feelers" among my friends so I shall endeavor to bear in mind what he says here. Ever notice how the people who say "if you don't live in Israel we don't want to hear your comments" are still happy to take your money, your prayers, your votes, your government's overwhelming support, and (almost always) they'll make an exception for right wing, jingoistic comments, too. To be clear, I don't mind giving Israel money. I mind Israelis who tell me to stop commenting. We strongly condemn the continuing rocket fire into Israel and the deliberate targeting of civilians by terrorist organizations in Gaza. No country can accept rocket fire aimed at civilians, and we support Israel's right to defend itself against these vicious attacks. And like clockwork, the people who never let facts impair their judgement and always respond to demonstrations of Obama's support for Israel with the words "about time" or "its just lip service" are once again saying "about time" or "its just lip service." If the Arabs put down their weapons today, there would be no more violence If the Jews put down their weapons today, there would be no more Israel." I think there is some truth to this. But as famous as this maxim may be, it has two serious shortcomings. First, it rests on two premises that have not been proven. 1) That Arabs are only interested in violence and 2) That Israelis are only interested in defense. The full truth is some Arabs want peace, and some Israelis want war. I'll agree that MORE Arabs want war and MORE Israelis want peace, but why are you certain the peace loving Israelis would prevail over the war-mongering Israelis if the the Arabs were to put down their weapons? Perhaps the war-loving Israelis would find a way to continue the conflict, say, by discrediting Arab peace efforts or by goading Arabs into attacking. Its not impossible. Second, there are some Israelis who want to take as much land from the Palestinians as possible. Don't even try to deny it. If the Arabs were to put down their weapons we wouldn't have a shooting war, that's true, but if the Israeli RW and religious parties persisted in their policies of land usurpations "peace" would continue to be elusive. It comes down to this. I agree that if the Arabs stopped bombing etc, the IDF would stop their operations. No question about it. But would Israel stop usurping their land, and treating them like second class citizens and depriving them of rights and protections? Because absent that you may not have a war, but you don't have peace either. Now I said the maxim has some truth to it so as tedious as this is, I wish to reiterate the obvious before I conclude: Most Israelis are non violent in nature. Almost all Israelis denounce terrorism and acts of violence against civilians in all forms. This is a crucial, glaringly obvious difference between Israelis and Arabs. While Israelis may not be willing to withdraw from Arab lands, they aren't murderers. They aren't going to slaughter babies (unless a Hamas terrorist or missile launcher is nearby) and they aren't going to kidnap and shoot teenagers on purpose (unless the teenagers throw rocks at soldiers or otherwise clashes with Israeli authorities or happens to be in the proximity of others who are clashing) and they aren't going to pay pensions or give honors to people who kill civilians (unless the civilians were killed by IDF soldiers who were attempting to fulfill a mission) and they aren't going to trade for the release of people who kill civilians (unless those people are IDF soldiers). The Orthodox Jewish wedding is a disaster. What can be done? The Orthodox Jewish wedding is a disaster. Its boring, predictable and designed so that only young people with energy can really enjoy themselves. The food is always the same. The music is always the same. The guests always behave the same way. Nothing about an Orthodox Jewish wedding stands out and nothing is memorable. I'm horrified at the idea of having to spend tens of thousands of dollars on a party no one will enjoy or wish to attend. Is there anything we can do to fix this? Give them access to a lawyer! I think its outrageous that the (accused) murderers of the Palestinian boy are being held with no access to lawyers. Its wrong when they do this to Palestinians. Its wrong when they do this to Jews. We want a clear, clean, legitimate confession from the actual perpetrators and I have no confidence that will occur if a lawyer for the defense isn't present during the interrogations.